The precision of the DX380LL-5 boosts profits by helping get the best out of what is in the yard. What started as a small shake operation for two men has flourished into a well-known, family-owned-and-operated cedar fencing mill. Wood products produced at the mill are used throughout North America for fencing projects. Tod Reichert and his business partner, Lee Day, were two young men in the mid-1970s, cutting shake bolts and performing rigorous manual labor. Eventually, Reichert started a small shake mill and grew the company to six employees. In 1982, he added a Pendu saw to produce fence boards and log home material. Over the years, the log home products were discontinued, and more saws were added to focus on cedar fencing, which is the company's current primary focus. Thirty-six years after Reichert started the company, it has grown to more than 60 employees, including Reichert's daughter, Kim, and her husband, Jamy Wallace. While other mills in the area offer a variety of wood products, Reichert Shake and Fencing focuses on producing high-quality western red cedar fence boards. Employees at the mill cut the cedar logs into various lengths and widths — from 4 to 8 ft. in length — and 3 to 6 in. in width. Log trucks deliver raw western red cedar logs from Oregon, Washington and Canada. Most wood comes from small private loggers and landowners; however, the company also buys from large timber companies such as Hancock and Weyerhaeuser, or bids on sales from the Department of Natural Resources in Washington. Cedar logs processed at the mill can vary in age, from as little as 20- to 30-year-old cedars to as high as 80 to 100 years old. Scaling is determined by the log's width. The mill measures success by the number of logs processed at the mill. Trucks deliver logs to the mill Monday through Friday, from 6:30 a.m. to 3:30 p.m., and the mill runs until 5 p.m. During busy times, the mill is open Saturdays, although they try to limit weekend work to allow employees to spend time with their families. 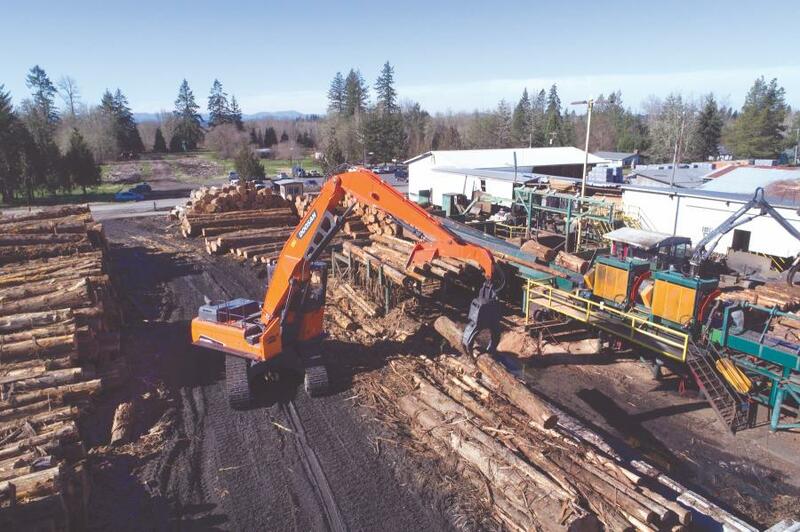 To keep up with the volume of cedar logs being delivered to the mill, the company depends on reliable and well-trained employees, as well as durable logging equipment. 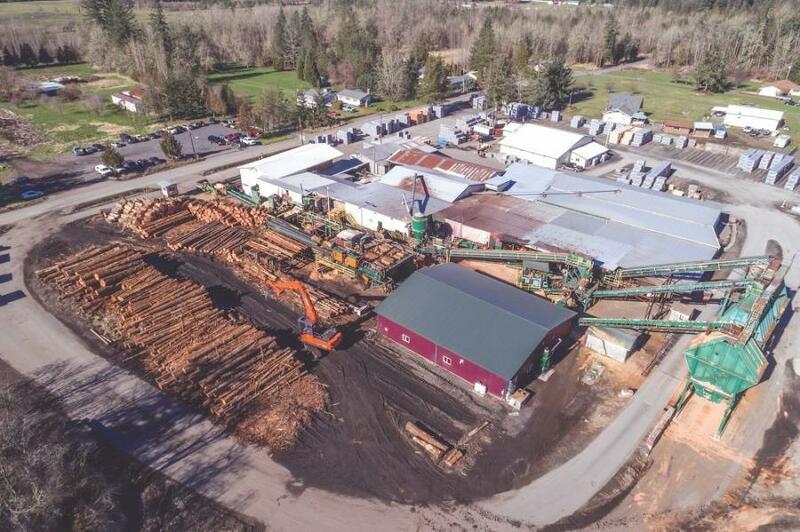 The company has three log loaders at the mill, and sometimes they need all three machines running to avoid holding up the log trucks that deliver the raw material. The mill racks up hours and hours on its log loaders. One model has more than 18,000 hours and is still performing at a high level. There is an inherent risk with machines with too many hours, which is what led the company to investigate new equipment, shopping around and looking at different machines. “If you don't upgrade and your machine starts breaking down, of course you lose time, and time is money,” Wallace said. 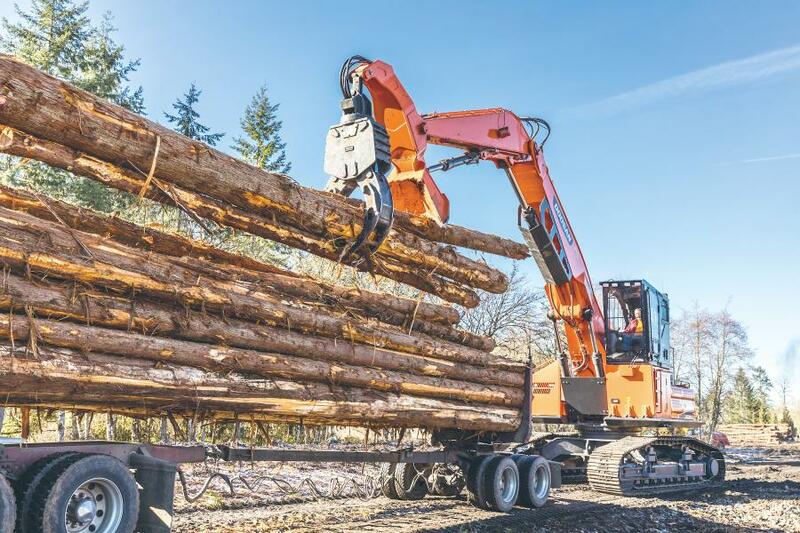 Prior to purchasing the new model, the company spoke to logging companies in the area, including Buck's Logging, which owns multiple Doosan log loaders. 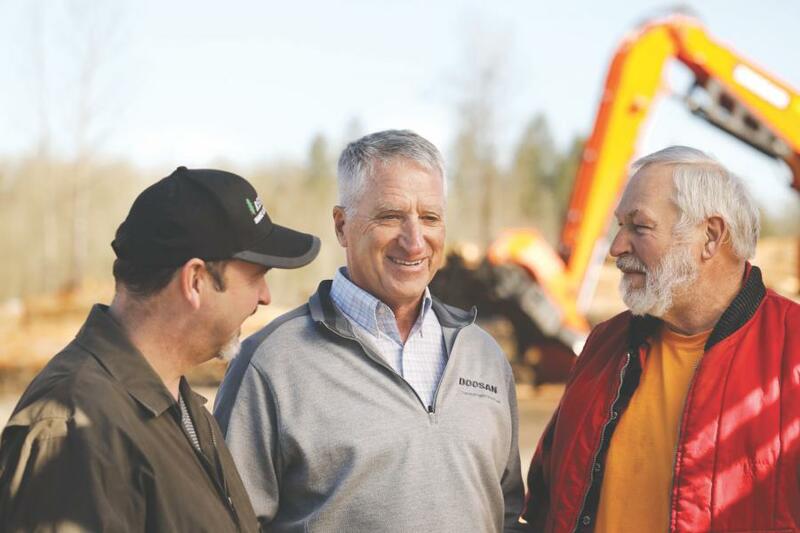 That conversation led to more information and a demonstration from sales specialist Jim Wark at Cascade Trader — the Doosan equipment dealer in the area. Wark brought a DX380LL-5 log loader to Reichert Shake and Fencing to let their operators test it. 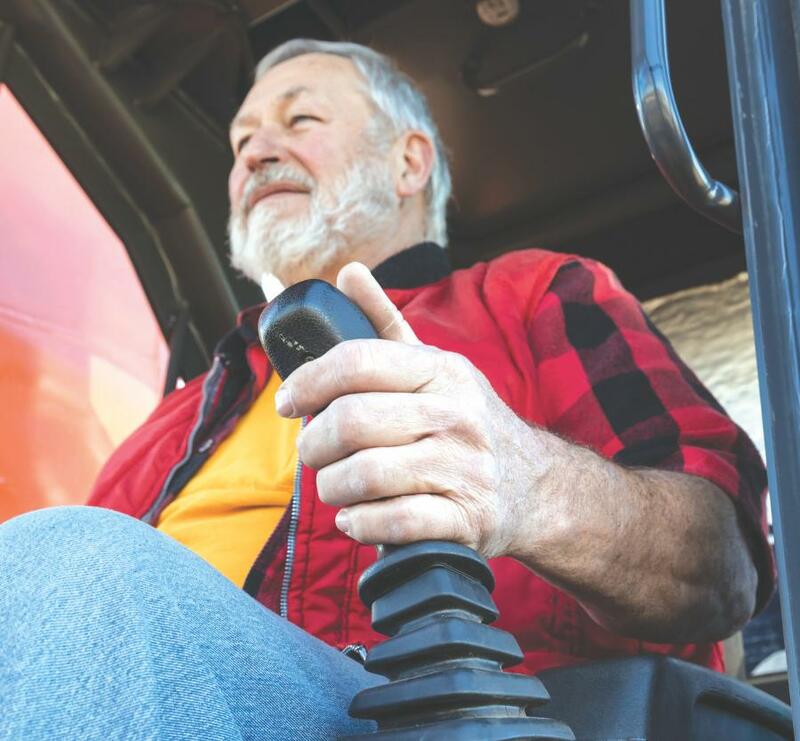 Veteran log loader operator Eldon Graves was one of the operators who put the DX380LL-5 through the paces at the mill. “Eldon has been with the company from the beginning; he's our oldest operator, and he does an awesome job,” Wallace said. Graves was sold on the machine from day one. He told Wallace and Wark that he preferred the DX380LL-5 log loader over another brand because of its performance. One of the biggest differentiators of the Doosan DX380LL-5 log loader from other models at the mill is its reach. The machine has a maximum reach of 44 ft. — 2 ft. more than the company's next largest model. “You wouldn't think two feet would make that much difference, but boy it really does,” Wallace said. This is particularly true when the company's operators are high decking logs. When they are high decking, they are putting the logs up higher to take better advantage of the space at the mill. In addition to high decking, operators use log loaders to unload the log trucks and feed the deck with logs. When trucks deliver the logs, operators use the log loaders with grapple attachments to sort them for efficiency. The traditional practice of scaling the logs is done as soon as they are unloaded. Another key selling point of the DX380LL-5 is the smoothness of the controls, especially when using a grapple to grab a log. Right-hand joystick controls in Doosan log loaders have a switch to control when the grapple opens and closes. The grapple stops closing as soon as the operator lets go of the switch. This is sometimes referred to as feathering. Trying to get the most wood out of the logs that the mill processes is the goal. Every time the company can get an extra board, it's another couple dollars. The precision of the DX380LL-5 boosts profits by helping him get the best out of what he's got in his yard. The first Doosan log loader at Reichert Shake and Fencing was sold not only on machine features, but also dealer support. Jamy Wallace said the Reichert family has known sales specialist Jim Wark for quite a while. The dealership is located approximately 30 minutes from the mill. It's close enough that dealership employees can come out to the mill to provide parts and service. “If I have any questions, I can always call the parts department and talk to the mechanics to find out what part we need,” he said.